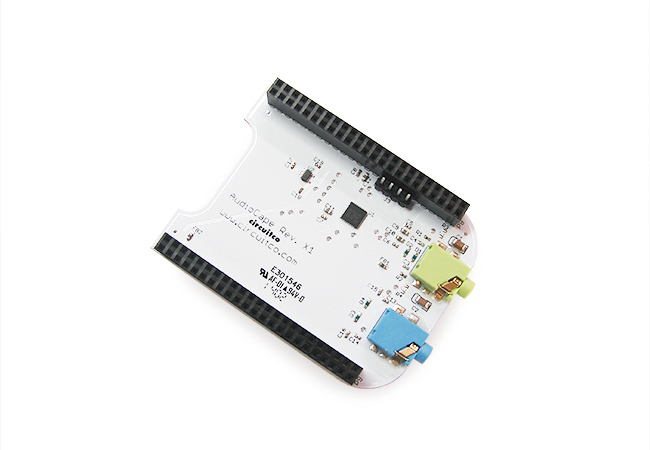 UPDATE: CircuitCo has created a new page, BBB Audio Cape RevB Getting Started, that works out of the box with the Beaglebone Black RevC (I just tested on a new board). It uses the debian flashed on the eMMC at the factory. The directions below are for building your own debian Linux system and setting it up on the microSD. I just started working with the new Audio Cape RevB from CircuitCo, I have revision B1. I have tested it with a BeagleBone Black with PCB RevB5. I know a few other people who might want to use this so I have summarized the steps to get audio output. I haven't tested audio input yet, I might post that if it looks complicated. To build u-boot, the Linux kernel and debian root filesystem, and set up on the BeagleBone Black, I used instructions from eewiki.net by Robert Nelson. A few notes on the process of building and setting up debian on a mini SD card from that page. If you need to rebuild Linux, use the ./linux-dev/tools/rebuild.sh script. Don't forget to unmount the SD before you remove it to boot the board. If you want to boot from SD only, delete the MLO file from the eMMC /boot/uboot directory. I can't access the serial port with the cape installed with my USB to serial cable, so I'm using ssh. Luckily I know what the IP address is so I don't need to remove the cape and reconnect serial. Enable the audio cape at boot. Add this line or, if you have multiple optargs settings, combine them all onto one line. Next, reboot the board. When it comes up you can see that HDMI is using the overlay without audio, BB-BONELT-HDMIN, instead of the normal HDMI with audio because of a conflict with the audio cape. Test that audio output is working. This should output noise, there are other settings that you can use with speaker-test to check which is right and left.